The absurdity of AT&T's push to define broadband as 200kbps is so great, it boggles the imagination. 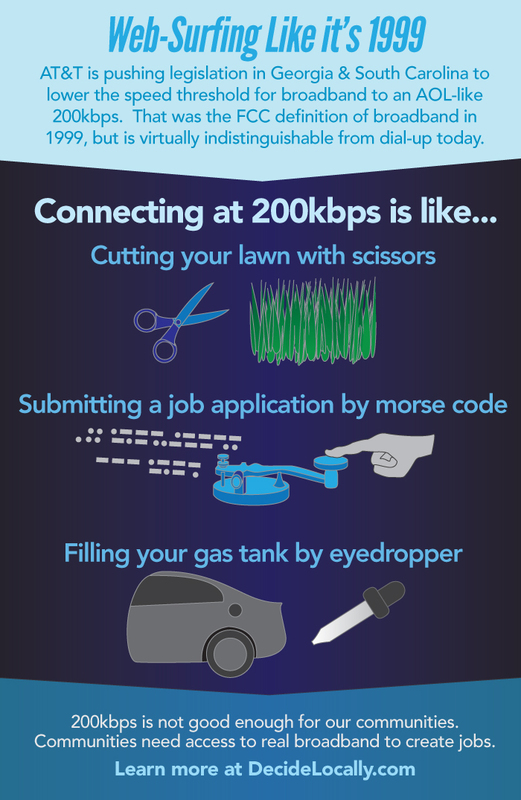 We developed the graphic below to highlight just how slow 200kbps connections are. Feel free to spread it around. Higher quality pdf below.